Former New Orleans Saints defensive end Jeff Charleston will appear at the Saints Hall of Fame Museum on Sunday, Dec. 23 from 1:25-2:40 p.m., prior to the Saints home game against the Pittsburgh Steelers. Charleston played for the New Orleans Saints from 2008-2011, appearing in 52 games. He was part of the Super Bowl XLIV championship team in the 2009 season. Charleston was in on 63 tackles and recorded seven sacks with a fumble recovery and two forced fumbles as a member of the Saints. Charleston will be available for autographs and pictures. 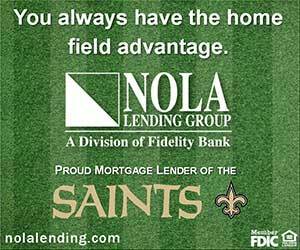 For more information, call (504) 471-2192, e-mail [email protected] or visit SaintsHallofFame.com.